It’s wonderful to see that you have updated your blog! I presume your treatment is going well and you are feeling healthy. 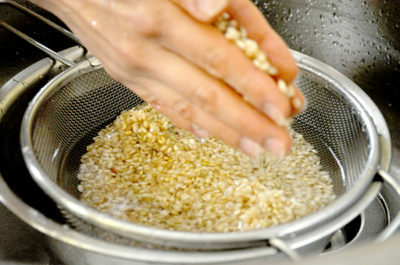 Perfect timing for this post because I still need to master the cooking of brown rice! I have been buying some for a while now and I enjoy it but I think my cooking method can be improved so I will follow your recipe next time. I actually enjoy that brown rice is less soft and a bit chewier than white rice and also it keeps me full longer which is a nice benefit. Thanks for posting this, Tamami! I’m so glad to hear that your treatment is going well, Tamami-san. You may have convinced me to buy a pressure cooker. I’ve always been kind of afraid of them, as I’ve heard horror stories about exploding meals. I need to learn to love brown rice. I eat because it’s healthier, but I don’t really enjoy it so much. 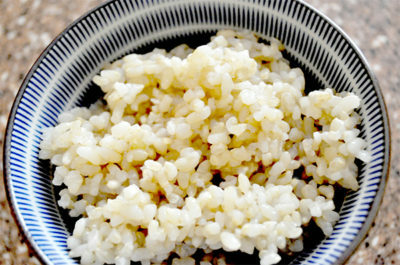 Your brown rice looks so fluffy, and I think it would make a very lovely ochazuke. Thanks for the very useful information. Sending my best wishes. Ha ha, I can just picture you standing on the other side of the kitchen, warily eyeing the pressure cooker. I’d probably do the same! Your method for cooking mackerel sounds divine, and mackerel is such an under-appreciated fish. 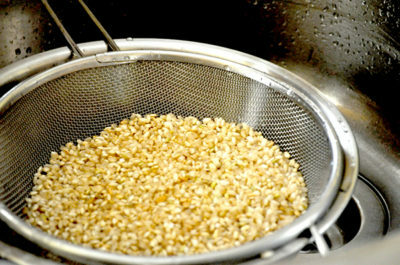 You’ve got me thinking about making takikomi gohan in a pressure cooker. Wishing you continued strength, Tamami-san. Ganbattene! He he, yeah, lol, you’ve pictured me correct! :) Re: the mackerel, love that fish! Saba-no-misoni…, my fave dish, although I haven’t made it in a loooong time, it’s got a fair bit of sugar in it, & now that I’m trying to be as sugar-free as possible, it’s not a dish I’d be cooking for the foreseeable time!? … sigh … Anyway, wow! takikomi gohan!!!! Can I just pop on a plane to have dinner at yours?? ;-) Autumnal chestnut gohan is my fave, thanks! Lol! This was a funny movie, have you seen it? Now I’m off to read the rest! When I first bought it, I had a love affair with my pressure cooker. My husband even made a silly song about it too… One thing I hate is to forget to put beans/grains in water the night before – ugh! I’m always on the lookout for pressure cooker recipes (tried and accurate ones!) so I’m kind of euphoric right now haha! 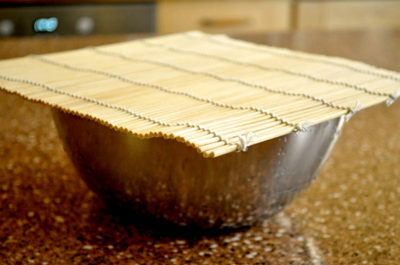 Im going to attempt at making sushi rolls with this rice recipe. I’ve made it with quinoa before so, why not?! Okay I’m out to buy brown rice now! And I know what you mean about finding a pressure cooker recipe that actually delivers ~ sometimes the pressure seem to cook out the flavours of the ingredients, I find this the case especially with meat dishes! Scratching & soaking…two things I never knew! Now to save up for a pressure cooker.